HostWithLove.com ("HostWithLove", "us", "we", or "our") has developed this Acceptable Use Policy ("AUP") document to govern HostWithLove's online services ("Services") which consist of Domain Registrations/Transfers/Management, Shared Hosting, Semi-Dedicated Hosting, Reseller Hosting, Dedicated Servers, Data Backups and any related add-on products. Our AUP is incorporated into our Terms of Service (TOS) and any other contracts we have with you by this reference. Terms not defined in this AUP have the meaning given to them in your agreement with us in our Terms of Service (TOS). Failure to abide by the terms of this AUP shall be grounds for immediate account suspension or termination, in some cases without notice, and forfeiture of all fees paid. Please note that the evolving nature of the Internet prevents us from including in this AUP all possible unacceptable usage of the Services. We reserve the right to determine, in our sole discretion, what other activities are unacceptable. Distribution, presentation, storage or transmission of any data, information or material in violation of any applicable law or regulation is prohibited. Examples of such violations are provided below. This list is intended as a guide for you and your End Users, and does not represent all possible unlawful uses of the Services. Spam is strictly prohibited under this AUP. Violations of our spam policy shall result in a possible suspension and/or termination of your account or Services. We reserve the right to determine, in our sole discretion, what constitutes a violation of this spam policy, but include the following as a guide: unauthorized or unsolicited advertising and promotional materials such as "junk mail," "instant messaging," "chain letters," or "pyramid schemes." An electronic message is "spam" IF: (1) the recipient's personal identity and context are irrelevant because the message is equally applicable to many other potential recipients; AND (2) the recipient has not verifiably granted deliberate, explicit, and still-revocable permission for it to be sent; AND (3) the transmission and reception of the message appears to the recipient to give a disproportionate benefit to the sender. The sending of Unsolicited Bulk Email (UBE) from another service provider advertising a website, email address or utilizing any resource hosted on HostWithLove's servers, is also prohibited. All bulk email must be solicited, meaning that the sender has an existing and provable relationship with the email recipient and the recipient has not requested not to receive future mailings from the sender. Documentation of the relationship between the sender and the recipient must be made available to HostWithLove upon request. 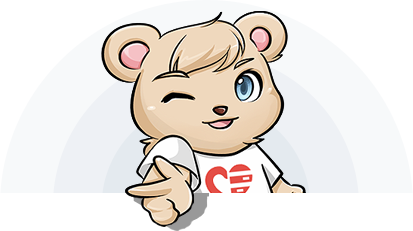 HostWithLove Services may not be used to solicit customers from, or collect replies to, messages sent from another Internet Service Provider where those messages violate this Policy or that of the other provider. Running Unconfirmed Mailing Lists Subscribing email addresses to any mailing list without the express and verifiable permission of the email address owner is prohibited. All mailing lists run by HostWithLove Customers must be closed-loop ("Confirmed Opt-in"). The subscription confirmation message received from each address owner must be kept on file for the duration of the existence of the mailing list. All purchased lists, even if offered as a "safe list" or "double opt-in", will be treated as spam. This AUP also prohibits any action that compromises our system and/or network security, the security of our Customers, and that of the Internet generally. We reserve the right to immediately suspend or terminate your account, without notice, as a result of such actions by you or your End Users. Based on your actions, you may also be exposed to criminal and civil liability. Examples of such actions include, but are not limited to, unauthorized access, use, probe, or scan of a system security or authentication measure, data or traffic; interference with service to any user, host or network including, without limitation, mail bombing, flooding, deliberate attempts to overload a system and broadcast attacks; forging of any TCP-IP packet header or any part of the header information in an email or a newsgroup posting. We own the IP Addresses that may be assigned to you pursuant to your use of the Services. These IP Addresses may not be assigned or transferred, and are recycled upon termination of the Services. We reserve the right to change these IP Addresses. We are required to comply with the relevant RIR policies and procedures regarding IP Addresses. Your violation of any of the terms within this AUP may result in immediate suspension or termination of your account, without notice. We are the sole arbiter of what constitutes a violation of this AUP. Upon learning of an alleged violation, we shall initiate an investigation. During this time, it may be necessary to restrict your access to the Services to prevent further potentially unauthorized activity. If such violation could constitute a criminal offense, we may notify the appropriate law enforcement authorities. Under no circumstances shall we issue credits for suspension of your Service because of an AUP violation. You agree to hold HostWithLove harmless from any claims that a suspension or termination of Services for this reason has damaged an End User. You agree to restrict your use of the Services to the direct serving of website content over the HTTP protocol. Misuses include, but are not limited to, scientific/grid/distributed computing, data warehouse/backup storage, and bandwidth sinks. We shall determine, in our sole discretion, what constitutes a misuse of the Services. If you are unsure about the suitability of an application, you should consult with us before using the Services in that manner. Your usage of the Services shall not be used to distribute and store an unusual amount of multimedia files. Multimedia files are defined as any graphics, audio, and video files. An unusual amount refers to any website with disk space usage for storing the multimedia files exceeding 70% of its total usage, either in terms of total size or number of files. We do not allow chat rooms, proxy servers or scripts, torrent clients or tracks to be run on our servers. We will not register or install any third party DLLs/EXEs or software on our servers.